There are dietary supplements that go unused by women who have been newly diagnosed with breast cancer that have been demonstrated to shrink their tumors but are ignored by doctors. But before these natural remedies are revealed, the stage for their use has to be set. Short of complete surgical breast removal, there is no treatment that will allay the fears of a woman newly diagnosed with a form of cancer that paradoxically will never pose a threat to their lives. They call it non-cancer or Stage-zero (non-life threatening) breast cancer. It has risen to comprise about 1 in 4 breast cancer diagnoses made today comprising 60,000 new cases annually. In medical terminology, it is called ductal carcinoma in situ (DCIS), early cancerous changes in the milk ducts of women’s breasts. The cost of treatment runs ~$12,000 but if a woman diagnosed with DCIS has her fears are played upon, she may elect to undergo surgical removal of both breasts (double mastectomy), the ticket price rises to ~$89,000 with full reconstruction (with an accompanying 69% risk for post-operative complications to boot). This is 2010-2011 data. 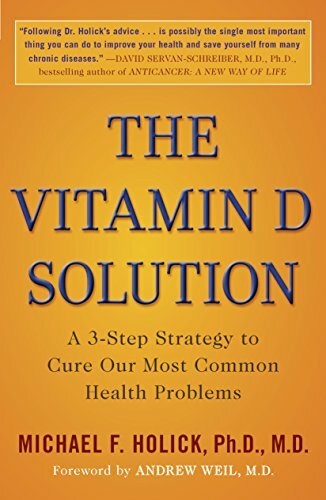 The Vitamin D Solution... Michael F. Holick Ph.D... Check Amazon for Pricing. Dr. Laura Esserman, writing in the British Medical Journal, says there is “no medical diagnosis that evokes as much universal fear as one with the word ‘cancer.’” Oncologists are not treating disease, they are treating fear. Ductal carcinoma in situ (DCIS) – cancerous cells in the lining of breast milk ducts – makes up 25 per cent of all tumors detected via screening but “is rarely, if ever, lethal’,” repeatedly says Dr. Esserman. Yet if treatment is refused, women will likely be lined up on protest in front of medical centers with TV cameras rolling to demand insurance companies cover mastectomy. Mastectomy or lumpectomy or whatever treatment is being offered these patients with Stage-Zero non-life-threatening breast cancer is giving peace of mind to fearful women, it is not saving their lives. We hear of political theatre. This is medical theatre with a pretty high price tag. The surgeons are in their sterile gowns and gloves. The nurses are standing by to hand them surgical instruments. The anesthesiologist monitors the heart beat and breathing. The patient kisses their loved ones as they are rolled on a gurney into the surgical suite. Is it all for show? But understand the predicament of these women. Having heard the word “cancer” attached to their breasts and living the rest of their lives with the anxiety they could have cancer and undergoing exams every six months is too much for them to bear. Lop off both breasts and let’s get this over, that is what is on the mind of these women. The most fearful women are those whose mothers, sisters and other family members have endured the horrors of chemotherapy. They will have none of that. There are no ethical barriers and only huge financial incentives for doctors to concede to the demands of a fearful patient. Dr. Esserman’s proposed solution: stop using the word cancer and call them “indolent” tumors. In other words, stop using fear evoking words. 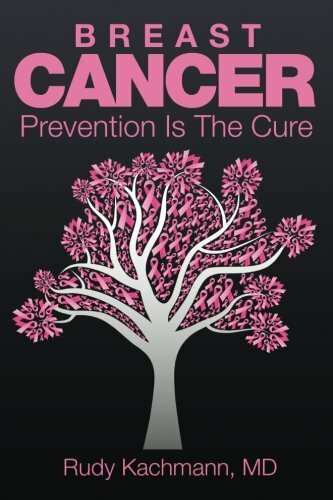 Breast Cancer: Prevent... Rudy Kachmann M.D. 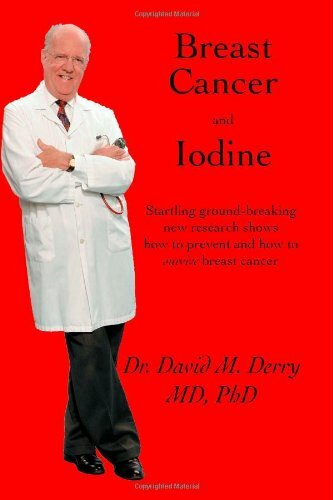 Buy New $12.99 (as of 05:35 EDT - Details) The modern tools needed to create a breast cancer diagnostic and treatment center cost millions of dollars. The difference in the rate of needless mastectomies varies by hospital, not by physician per se. It’s obvious, the doctors at a particular hospital know they have a certain financial nut to crack to keep their doors open. They know they have to churn X number of surgical procedures per month. Breast cancer screening is a break-even practice that scouts for disease to treat. This is the kind of stuff that doesn’t get into print in medical journals. Oncologists pretend their decisions are purely medical while in practice they are financial. Modern medicine is not science based, it is profit based. Medical ethics have been thrown out the door in order to pay the light bills and meet payroll at the medical center. “Well, the patient insisted on double mastectomy,” doctors say. What is the incentive to find patients who will not benefit from treatment? At a European Breast Cancer Conference it was reported 2500 of 8000 patients underwent needless mastectomy. The problem is not medical nor technological. Technology and data exists to determine which women need and don’t need treatment. It is said that “doctors are unable to accurately identify which patients will eventually develop invasive life-threatening breast cancer.” But at the same time, other examiners say medical teams are “not looking in enough detail at the results of mammograms and pathology reports to make the right decision.” They have no financial incentive to do so. DCIS by definition is non-invasive pre-cancerous breast tissue. So, DCIS is categorically non-life threatening. The problem is, with all of the early detection and overtreatment, the number of women dying of invasive breast cancer has not been curbed. Overtreating people who are not at risk of death does not improve the lives of those at highest risk, says Dr. Esserman. How many times does she have to say it? DCIS is rarely lethal, Esserman emphasizes. But that fact will not resonate with women. They want peace of mind, not facts. Doctors rush to show the 5-year survival rate of these women who undergo needless treatment is very high, 98+%. But they never had life-threatening cancer in the first place! After 20 years, 96.7% of women diagnosed with DCIS will have survived and 3.3% will have succumbed to their breast cancer. That is a 29-fold rate of needless care. Yet doctors walk out of surgery saying “we got it all” and give their patients a false notion they just saved their lives. They are wearing undeserved superman suits. And for women who elect to undergo lumpectomy (removal of the small tumor only), accompanying radiation treatment does not improve survival either. So what are women to do? So what are women with newly diagnosed DCIS to do, undergo a lifetime of anxiety at bi-annual exams, hoping they won’t hear the word cancer uttered again? Well, it’s not like there is nothing that can be done, as there are rather convincing alternatives that few women will ever hear of. They are found at local health shops. But women will have to venture on their own to find them. They will have to venture into unguided self-care as their doctors are under no obligation to inform them of any alternatives. A sulfur-based dietary supplement, N-acetyl cysteine, stops breast cancer cold. It does so by preventing the growth of cancer cells via protein deprivation. A trial on 12 women who had recently received a diagnosis of stage 0 or stage 1 breast cancer, and who were awaiting surgery for the disease, was conducted. For 3 weeks between their breast cancer diagnosis and surgery, each woman received NAC both orally (600 mg twice daily) and intravenously. Biopsies convincingly showed tumors shrunk by 25% and markers of cancer declined 25-80%. Almost a decade ago Dr. Michael Lisanti and colleagues reported that NAC and quercetin, the latter being a nutrient found in apple peel and red onions and like NAC available as a dietary supplement, inhibit the overproduction of nitric oxide, a transient gas in arteries, to calm oxidation (unstable oxygen), to effectively abolish the “engine” that fuels breast cancer. It’s not like modern pharmacology has been asleep at the wheel. A drug that would eliminate the need for double mastectomies has been under development for some time now. Of course, its biological action is duplicated by dietary supplements like vitamin D and resveratrol. Most women who refuse treatment for their newly diagnosed breast cancer are placed on tamoxifen. (Only 3 of 100 women taking tamoxifen will benefit from it.). Tamoxifen presents many side effects, including hot flashes (40.9%), joint pain (29.4%), bone fractures (7.7%), blood clots (4.5%) and vaginal bleeding (10.2%). Allicin, a molecule provided in fresh-crushed garlic cloves or alkaline buffered garlic pills, has been identified as an alternative to tamoxifen. From time to time women experience hot spots and feel lumps in their breasts that cause them to undergo mammography to detect any developing tumors. Best that women first employ NAC, quercetin, resveratrol, vitamin D, and other natural remedies and then schedule an appointment with their doctor. Woman at high risk should probably be augmenting their diet with these natural remedies as they pose few if any side effects.